We offer classes according to child’s age and English level.We offer classes according to child’s age and their English levels. English is the language of business and many people already use English at work all over the world. In order to make kids learn English easier and fun, we offers different classes according to their age and English levels, by spending time with foreign teachers and friends, kids could speak, read and write English easier. We do have preschool class, after kindergarten class, kids English class and after elementary class . We offer four different classes to suit your children's needs! Preschool class, afternoon class, after kinder class and after school class. Ages from 1 year old and 5 months up to 6 years old. 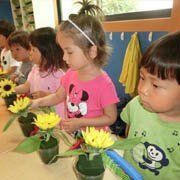 Preschool class – introduce your child to a structured day with stimulating activities, group interaction, and the chance to be inquisitive as they begin to talk, walk and explore. 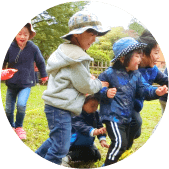 Our curriculum activities, projects and explorations are based on real – sensory experiences. We spend big part of singing, dancing, and exploring both indoors and outdoors. 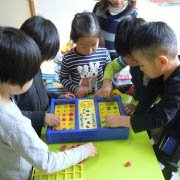 These activities encourage interaction with other children to develop important their social skills. Days: You can chose which days are best for you from Monday – Friday. From a beginners to returnee's, we will improve their English levels based on standard curriculum. Days: You can choose any days: from Monday– Friday on a monthly basis. Time: ~ Extra charges for extended time. For more details please contact us. Teachers will continuously developing progressive education, for the future requirements beginning in 2020. 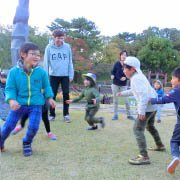 For elementary school students, we will teach and help them to improve their English levels. ◆Please scroll down for more details. 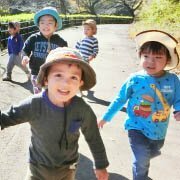 After Kinder Class 2 years old ~ before elementary school	 By staying for a long time, they will be able to improve their English levels compared regular class. You can choose any days: from Monday– Friday on a monthly basis. ~ Extra charges for extended time. For more details please contact us. After Elementary Class elementary school students	 Before entering the elementary school which is compulsory, we provide them quality education. You can choose any days: from Monday– Friday on a monthly basis. ~ 20: 00 - extra charges, depends on which course choose.